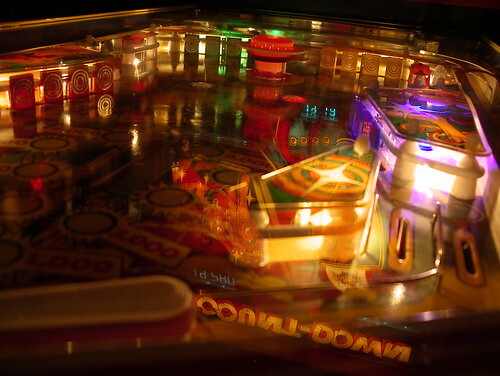 As the system that straddled the electromechanical and solid state eras, Gottlieb System 1 pinball machines were, even brand new, notorious for their electronic issues, and now that the components have aged for thirty years, the potential problems have only compounded. There are very few who’d call troubleshooting a System 1 an enjoyable experience, and some techs refuse to work on the machines entirely. 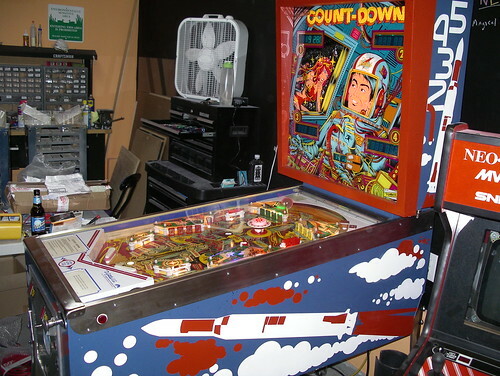 By the time I called Nick at Planet 9 Pinball, I’d rebuilt the power supply, replaced a half dozen of the transistors on the driver board, and had gotten everything up and running but the outhole kicker and a couple other troublesome bits. Unfortunately, I managed to short out the transistor on the bottom of the power supply against its bracket, setting off a minor chain reaction. This is when I called Nick. 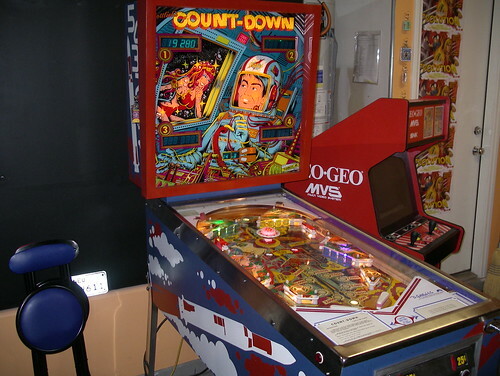 He quickly resolved the remaining under-the-playfield issues and was able to get the machine back up and running, but while a testing low voltage issue he inadvertently discovered a bad potentiometer, shorting a handful of chips on the MPU board in the process. I replaced the bad pots, and over the course of the next week he tested and replaced MPU chips one by one until things were (mostly) back to working condition. Plans were made to source the remaining chips (for the display controllers), and Nick went on his way, vowing to never work on another System 1 game again. 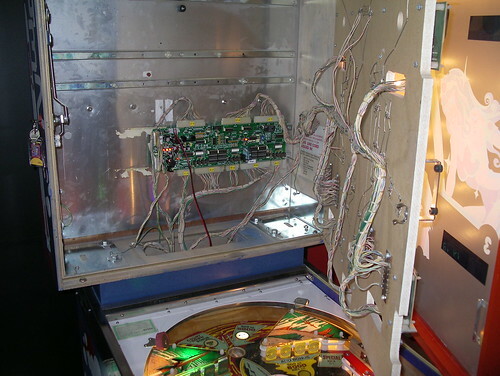 Knowing that the playfield mechanics were solid and that this machine would be living with me for years to come, I began to look into some of the more recent System 1 replacement boards developed by boutique outfits and hobbyists in the scene. 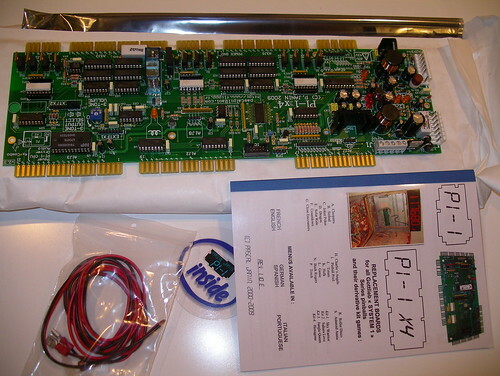 I’d heard glowing reviews of a modern all-in-one board designed by Pascal Janin, and having just buffered my arcade project coffer with a few parts sales, I took the plunge and ordered his PI-1 X4. The PI-1 X4 fits into the backbox and replaces the power supply, MPU board, driver board, as well as the three-tone sound board mounted in the front of the cabinet. In addition to replicating the base game functions completely, it adds a whole mess of new features (skill shot, attract mode, free play, multiple high scores with name entry, etc), moves the stored data from battery backup to NVRAM, and corrects many of the faults of the original hardware. Pascal’s manual was well thought out and installation took maybe 20 minutes. After thoroughly testing everything and setting the parameters via his display menu system, I gave the playfield a quick wipedown, replaced the glass, and played my first game on the fully working machine. Man, did that feel good. Here’s the PI-1 X4 mounted in the backbox… lots of room leftover! Good job, Chris. This countdown looks amazing. Will you be planning on replacing all of the bulbs with LEDS or keeping the field lighting stock? I went with a mix of lighting… playfield inserts, backbox indicator lights, and the spots behind each drop target bank are LED, while all GI lighting is #47 and #44 lamps. Hi Chris, Love the Countdown stencil…..are you able sell me one? Please let me know. Cheers Rawdon. Thank you! You’re absolutely welcome to use my design. Rich at This Old Game printed my stencils, and he may actually still have the files archived to print you a set. Send him an email (sales@thisoldgame.com) and see if he still has everything he needs to run a set for you. If he doesn’t, or if you run into any issues, let me know! Excellent job on the Count-Down. Do you still have it? 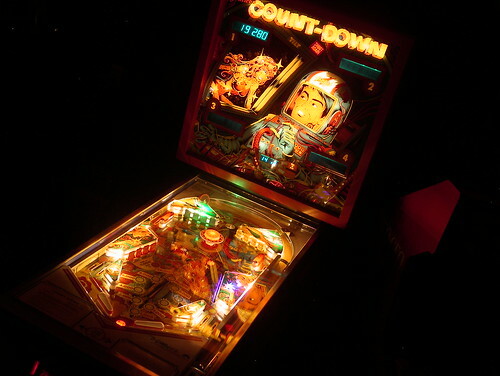 I am in the process of restoring the playfield and I was wondering if you might be able to send out some scans or pictures of the middle of the playfield where the bonus count is. My playfield in this area is almost completely warn out. Hi Mark, sure, I’ll take some photos this week.